X-Force, of course! Oh, AFB is such a whacky wizard with words!! Ahem. Forgive the excitement, but it's not every day you get a whole team full of heroes in one statue. That's what Sideshow's X-Force Diorama has brought to my shelves, with the original team line-up of Wolverine, X-23, Warpath and Wolfsbane, and I'm delighted to be able to give it a bit of a review. First off, the box and packaging. I have to say Sideshow's box art is not the best around. Perhaps it's a cost saving thing to keep the cost down, but it's all a bit close up and fuzzy for me. At the end of the day it's the insides that matter, but it's something that's always struck me about Sideshow product, so I'm saying it. 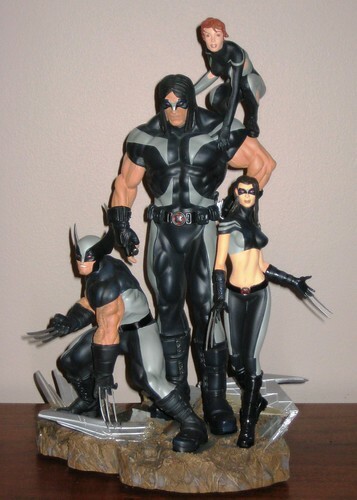 As for the statue, each character is individually packed and fits into the base (or in Wolfsbane's case, Warpath's shoulder) securely. This is a very fun piece in terms of character selection - Warpath and Wolfsbane don't get alot of toy time, and Rahne in her human form even less! One thing you do have to forgive right away to enjoy this statue is scale - there's some pretty major licence taken here with Warpath's size in relation to his teammates in order to make him the anchor of the piece. He could have been a smidge smaller without wrecking the symmetry of it all! The sculpting and paintwork are both excellent here. You might think that four characters in basically the same uniform and colour scheme could be a bit dull, but it's actually rather visually striking. There are some nice details here, like the sculpted belt buckles, the veins on the guys' arms, and the claws on Wolvie and X-23 which look great but are of a flexible material so they aren't likely to snap off. Another thing I really like about this piece is that it actually doesn't have a huge base and so doesn't take up a massive amount of shelf space. 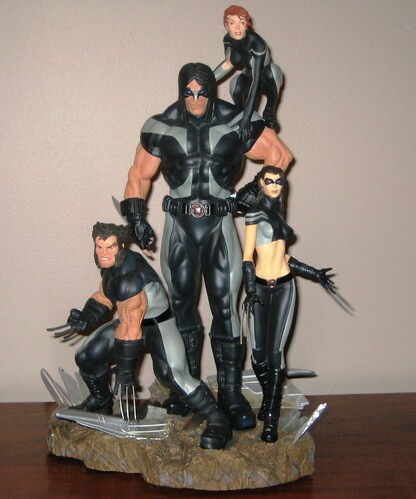 I missed out on the Exclusive version of this diorama, which included a swap-out for Rahne in her wolf form, but I wasn't too fussed about that as this is the way I would have chosen to display the statue anyway. The regular version does have both a masked and unmasked head for Wolverine, as shown. For display I've gone with the masked version, but both are great. Of course, only Wolvie remains on the team after everyone else got the boot at the end of Second Coming. All the better then that the original line-up (which I much prefer to the new) has been captured here in this fine piece! 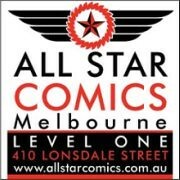 This is certainly the kind of thing I'd love to see Sideshow produce more of in the future. You can see more pics at Facebook, discuss this at the AFB Forum, and comment on this post to enter the September AFB Comment of the Month Contest! Looks solid. I like the swappable face/rahne. Why couldn't they have had an unmasked X-23? Shame Marvel redid the team roster, I rather enjoyed this group. Nice one Andy! I like it! good stuff. Don't know that Rahne could really balance that well on Warpath though. I envy your collection of figuring.Thus myself is only focus on cars due to i can't collect every ranges. That the magic of this place where we all share things that we don't have. Is that the family members of the wolverine ?Just cool & awesome detail.